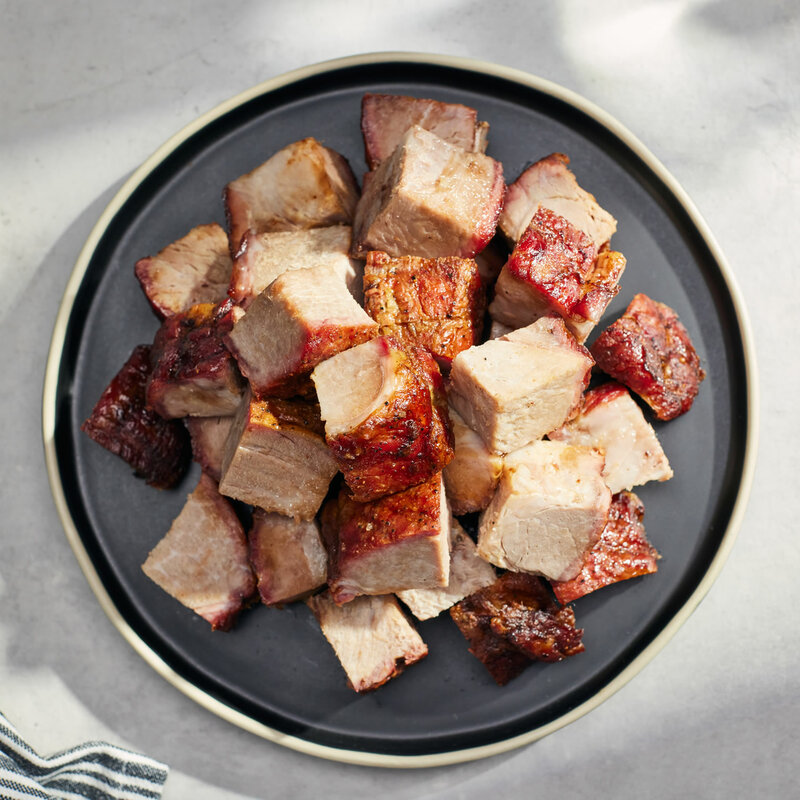 Many barbecue aficionados consider Pork Burnt Ends to be the ultimate form of barbecue. You’ll see why when this full pound of incredibly moist and meaty burnt ends arrives on your table. 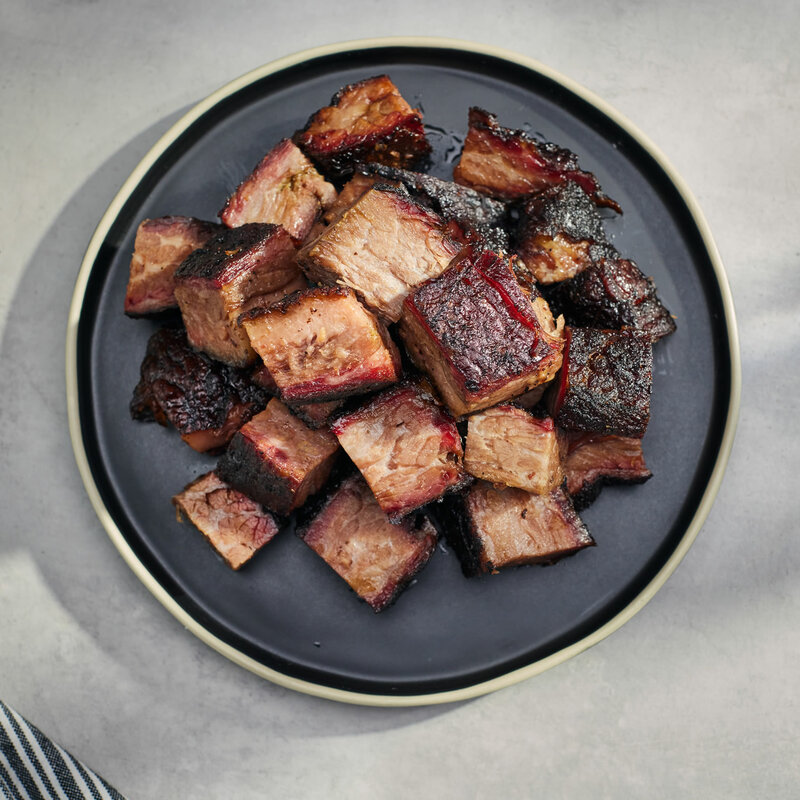 Rich with the sweet, smoky flavor that can only come from slow hickory roasting, our Pork Burnt Ends make superb appetizers and entrees alike. 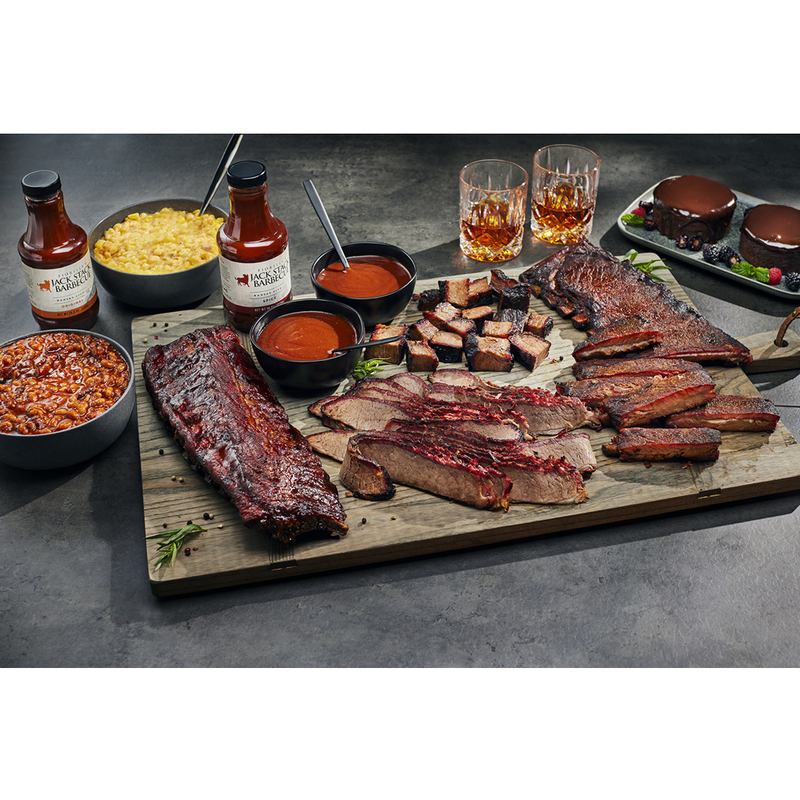 The best BBQ via online I've had. The burnt ends are incredible. I ordered the BBQ for my brother's 67th birthday. He is a huge fan of Jack Stack BBQ and was elated when the package arrived. Some of the best bar-b-que....love it! Wish they had a location in Denver. But, thank goodness they can ship and do so quickly. It's also packaged extremely well! Living in Texas there is meat everywhere, but these burnt ends are better than any of the 5 star winners of the Rodeo, cookoffs, or restaurants. Always moist,with a great crust. Serve with or without sauce, they are always a winner. Great as always. Arrived just when promised. Happy to introduce my TN friends to Jack Stack. I just ate Jack's Stack delivered to Denver! I just received a shipment of Jack's Stack here in Denver for Christmas. WOW it tastes exactly the same shipped and delivered as it does in the restaurant! For one brief moment I felt like I was back in KC. Burnt pork shouldn't taste this good! (I just posted this on my Facebook page and thought I should share it here): Ate Jack Stack's pork burnt ends for the very first time tonight and OH.MY.GOD. They are well known for their beef burnt ends, and deservedly so, they're sensational. But I wasn't expecting much from the pork. Pork is so often dry, let alone burnt pork, let alone burnt pork that's been frozen and shipped! But these were incredible - a nice little burnt crunch on the outside, tender and juicy on the inside, and no need to masquerade it by slathering it in sauce. Mail order BBQ shouldn't taste this good.